Markets were spooked by the higher -than-estimated fiscal deficit target, leading to Sensex falling 100 points. 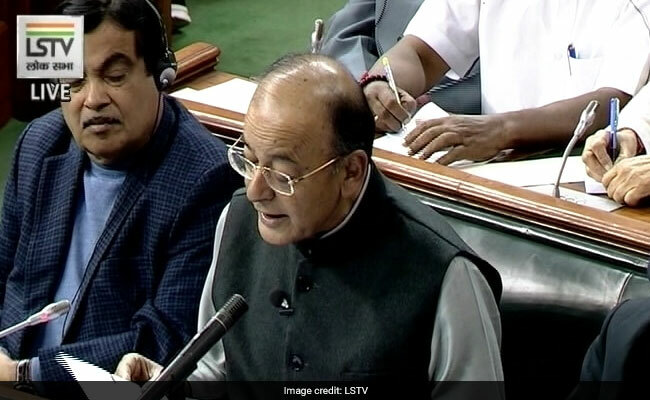 Economy under the first three years of the NDA rule clocked growth of 7.5 per cent, Arun Jaitley said. In Budget 2018-19, the government has pegged fiscal deficit at 3.3 per cent of GDP for the fiscal year starting April 1, 2018. This is higher than the 3 per cent as projected earlier in the fiscal consolidation roadmap. A Reuters poll showed most economists expected a 3.2 per cent deficit in 2018-19, as the government looks to increase investments in areas such as agriculture. For FY18, the government estimated fiscal deficit of 3.5 per cent, higher than the 3.2 per cent projected by Budget 2017. There has been a shortfall in non-tax revenues due to deferment of spectrum auction, the finance minister said.